This amazing optical illusion was created by Akiyoshi Kitaoka, Professor in the Department of Psychology, Ritsumeikan University, Kyoto, Japan. In this image you can see what appears to be four rows of snakes. The top and bottom snakes are facing right while the two in the middle are facing left. When you look at these rows of snakes you will observe that they appear to be moving in the same direction as they are facing. 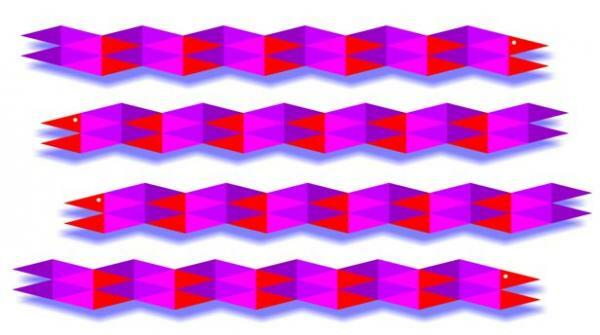 I believe Professor Kitaoka has called this wonderful illusion "Morays". Very unique illusion. Excellent concept.